We often sit while a client ponders if they have asked everything they need to ask in their search for finding the right supplier. We offer suggestions and watch them frantically go through their notes. This is the reason we have decided to write out 8 Easy Steps to finding the right supplier. We hope you find it helpful. Carefully Choose your Suppliers. With the creation of the internet there are no excuses to be seeing a bad supplier. Most businesses these days have Websites, Facebook pages and Twitter accounts dedicated to what they do. These pages should offer up photos of their work and keep you informed of what they are doing and have testimonials from clients. This will help you in finding the right supplier for the job. Be Prepared for your Meeting. When the time of your meeting comes it is important to be prepared. 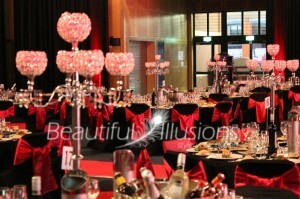 This might be that you need to have the information of other suppliers at what they are providing for your event. It is also a fantastic idea to have images of what you would like to achieve if you have an idea already. A supplier will find it easier to meet your needs if you have the same vision. Floor plans and site maps are also a great tool for the supplier if they will be involved in the location itself. The Meeting. Have your notes clearly organised so you can find them in the meeting. On the day of the meeting be on time. The supplier may have a meeting following yours and it is important to be on time so that you can get the most out of the time you have with them. At the meeting don’t be afraid to ask questions. You have the right to question them about their business and ask for examples. In the meeting ask what their terms and conditions are as they should know these. 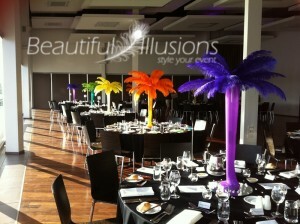 Find out what they require from you to make your event a success. Receiving the Quotes. When you have all of the quotes from your suppliers make sure you check how long they are valid so you are aware. Once you have received the quotes from your suppliers compare the details. It is important to compare the quotes to what you have seen on their websites and social media outlets. What might seem like a great deal may not be on the day. If it seems too cheap... it probably is. Your quote should outline exactly what you are getting and all inclusions. If something is missing then make sure you contact the supplier to tell them to include it for the event. Securing the Supplier. Once you accept a quote and choose a supplier a deposit may be required to secure them. Make sure you have checked over the invoice and also read the terms and conditions before paying this deposit. It is important to remember that you are the customer and you have a right to ask questions. Follow Up. If you have sent some emails and you haven’t gotten a response then make sure you give them a call. At different times of the year everyone is busy. This happens very often in events. They may just be busy and have not yet had time to get back to you however the email may have also not reached them. So don’t be scared to ring an ask. Leading up to the Event. Make sure that you keep in contact with your supplier. Be aware of time frames and when things should be paid or lists be submitted to your supplier. Be aware of what they are doing on the day so that you don’t have to be concerned on the day of the event. Trust the Suppliers Skills. On the day you must relax and not be concerned about what else is going on. If you have done everything correctly then you have chosen the right supplier and you must trust their skills. Have a glass of champagne and relax. As event stylists ourselves we find that clients who do these things are a lot more stress free than those who are feeling disorganised. We hope that these 8 Easy steps to finding the Right Supplier have helped you with your event. If you have any extra ones or experiences that you would like to add then please comment below as we are sure this would be very helpful for others. We would like to invite you to contact us if you are looking for a recommendation on a supplier. This entry was posted in Suppliers, Uncategorized and tagged events, facebook, suppliers, twitter, website, wedding. Bookmark the permalink.